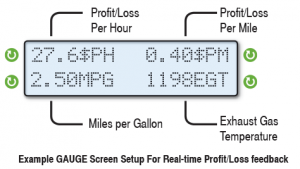 include a set of real-time digital gauges dedicated to showing you your actual profit or loss as it relates to your fuel usage and driving style. 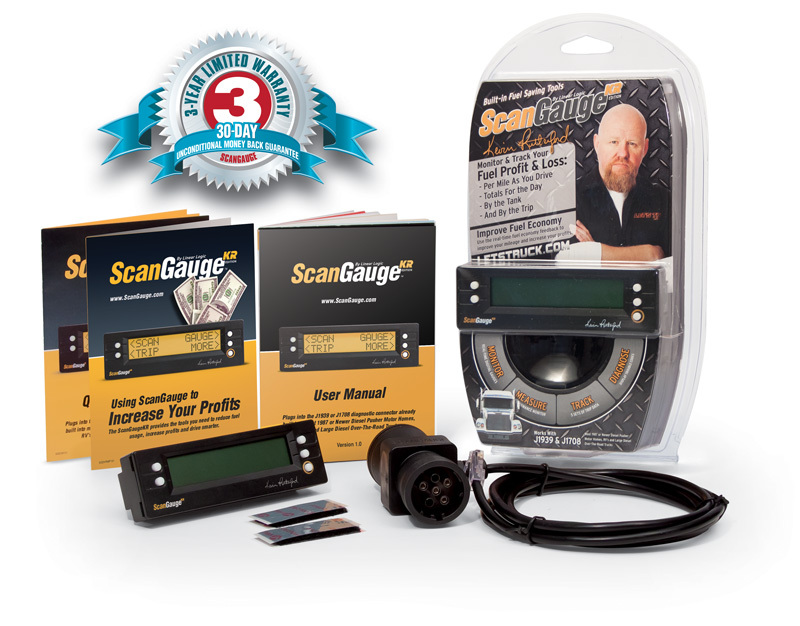 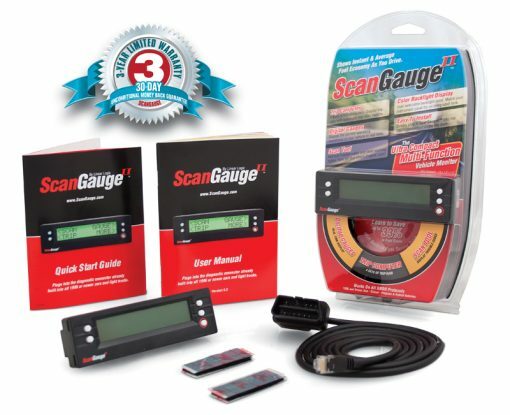 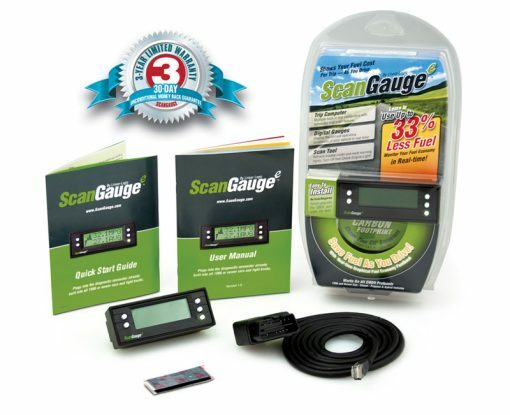 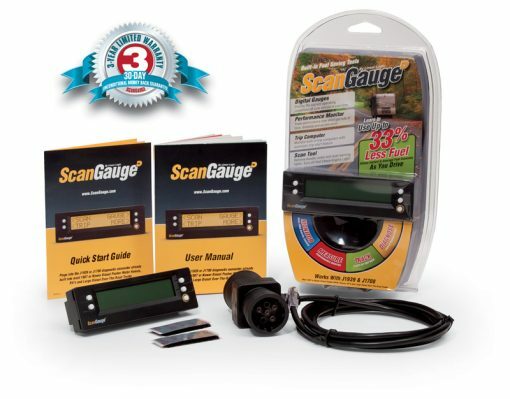 The ScanGaugeKR provides the tools you need to reduce fuel usage, increase profits and drive smarter. 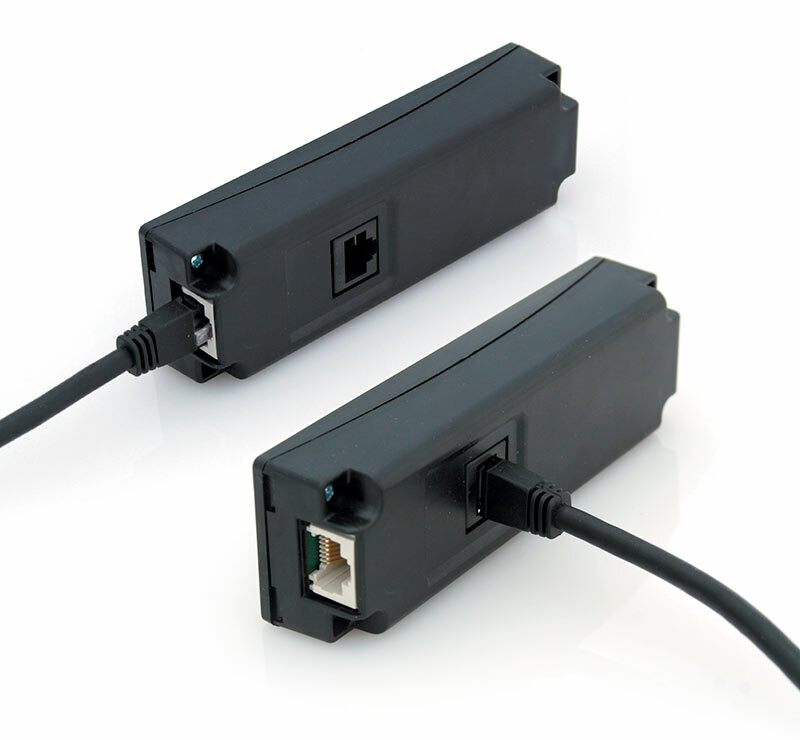 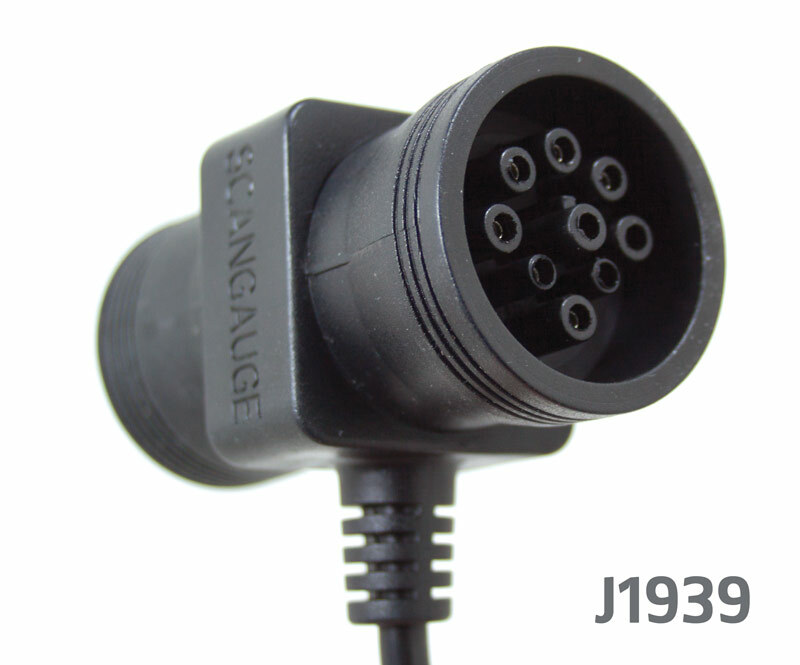 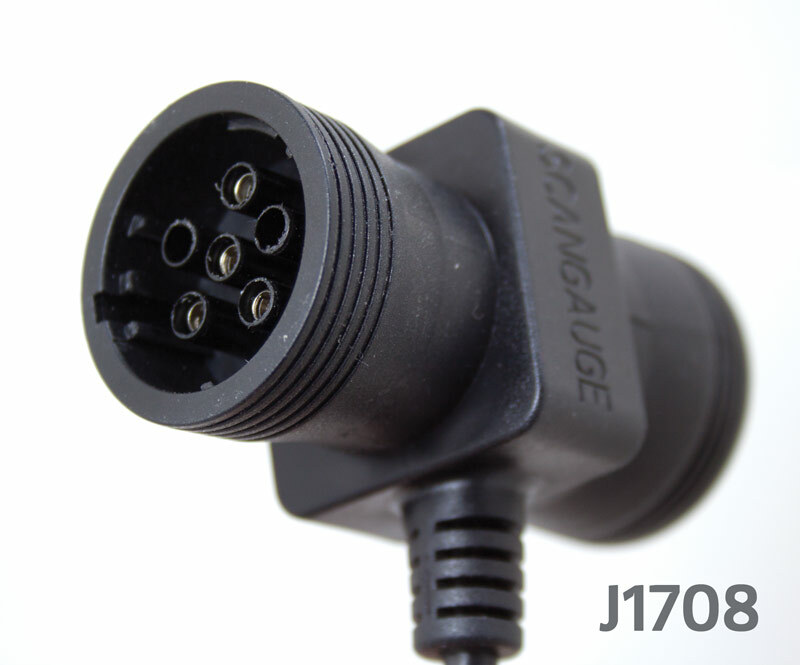 The ScanGaugeKR is designed to work with vehicles that use the J1939 & J1708 protocols, such as Over The Road Long Haul trucks. 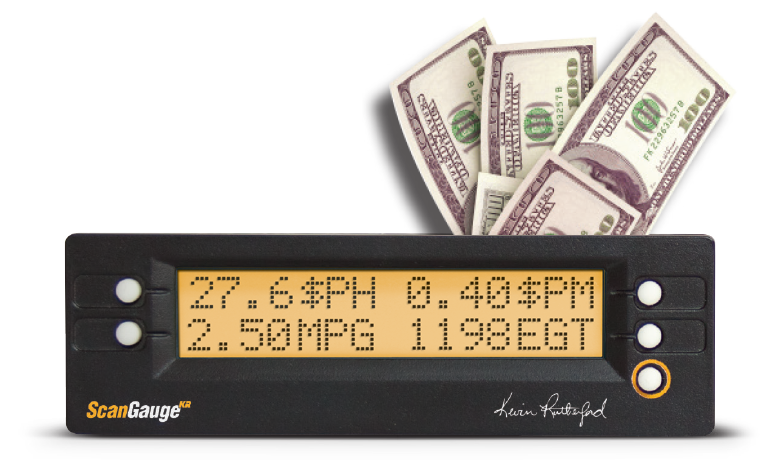 The KR includes a special set of features designed to help any professional driver who makes income by the hour and by the mile, achieve the maximum amount of profit while driving. 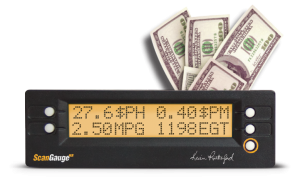 These features include a set of real-time digital gauges dedicated to showing you your actual profit or loss as it relates to your fuel usage and driving style. 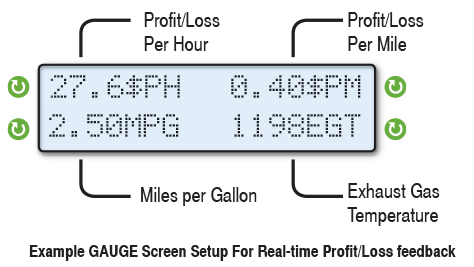 The Profit/Loss feature built into ScanGaugeKR combines your reimbursement rate, fuel cost-per-gallon/liter and your actual fuel economy to give you direct feedback of your income-per-hour, while you drive.